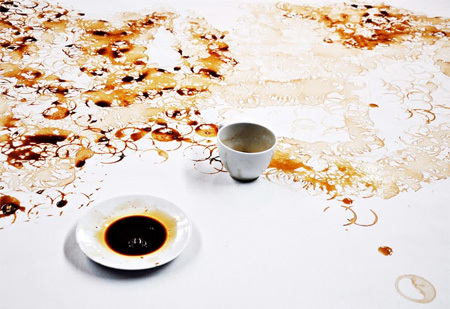 Incredible painting made with coffee cup stains by Malaysian artist Hong Yi. 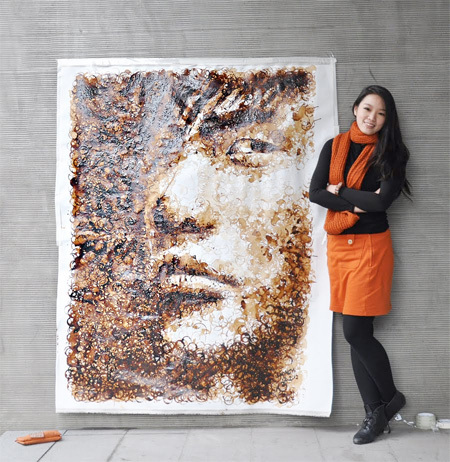 Hundreds of coffee stain rings, many of them broken and imperfect like fallen leaves, formed the portrait of Taiwanese musician Jay Chou. 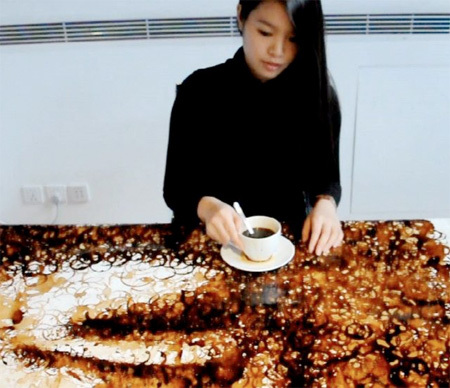 Not only does it look great, I bet it smells great too! 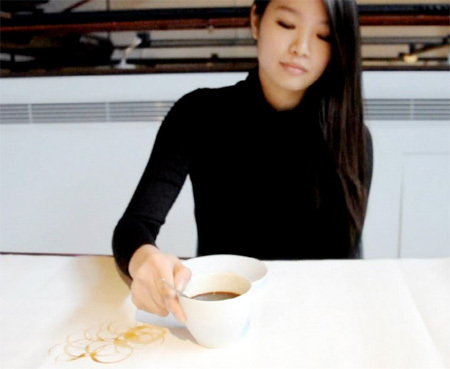 She’s actually an award winning architect–unbelievably talented. Very very cool. 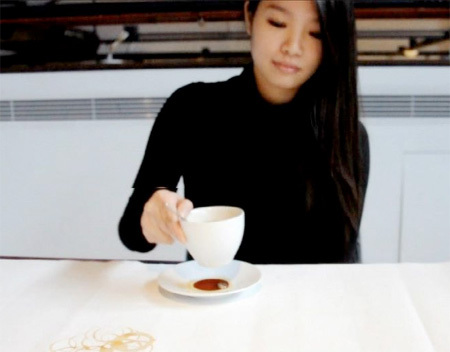 I’d like to see some of her other pieces. Вот это красотища! Так наляпать красивенно! Умничка! 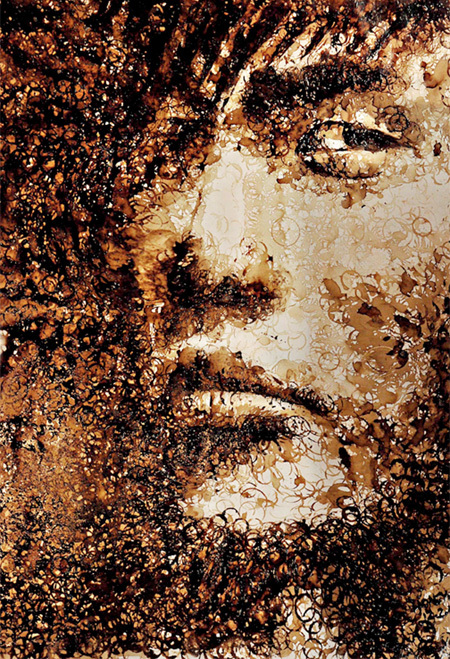 Coffee… with cream & sugar??? 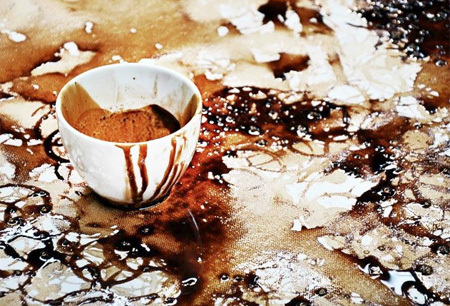 Was it Latte, Iced Coffee, with Cinnamon? I love this concept but I am curious. 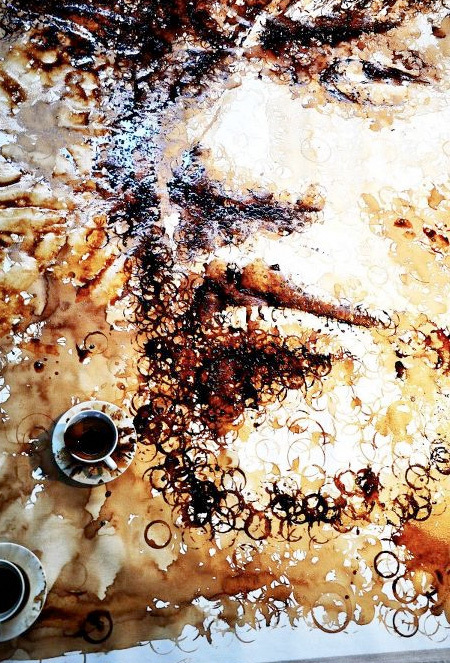 What happens to coffee stain art over time? I am experimenting with it, but don’t want my pieces to mold. Is there any way sort of sealant that won’t ruin the piece?